Special thanks to Winemaker Miguel Caratachea and Lee Nordlund. The 2011 Napa Cabernet vintage began with an exceptional amount of rain throughout February and March. The spring and summer experienced cooler than normal temperatures, along with summer rains, which resulted in late flowering and smaller yields. Also moderate temperatures lengthened ripening the fruit that can occur in mid- to late-summer. However warmer temperatures did finally arrive, and the 2011 vintage – combined with Miquel’s exceptional care – is rewarding us with herbal scents, intense earthy notes laced throughout fresh fruit on the palate and an underlying spicy, tannic layer. 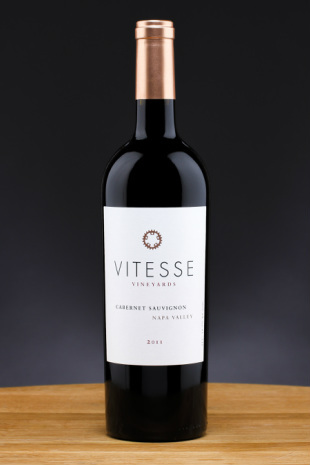 Made predominately from Spring Mountain fruit, with additional Mount Veeder fruit and a dusting of Sonoma. This wine is best now when decanted, or cellar for 8 years or longer. Please note: The 2011 Vintage is sold out.